In My Big Little Break, we ask authors to talk about the first piece they ever had published, how it felt to finally break through, and what they’ve learned since then. 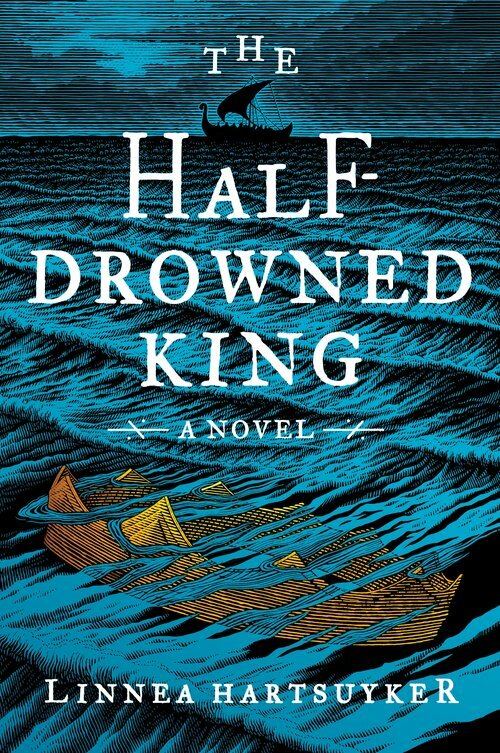 This week, writer Linnea Hartsuyker, author of the novel The Half Drowned King, shares her answers. What was the title and genre of your first-ever published piece? The Half-Drowned King is actually the first piece of creative writing I've ever submitted for publication on my own. However, my first professional publication was co-authoring paper when I was doing my undergrad work in Materials Science and Engineering in 1998: "Magneto-optical properties of nanocomposite films obtained by partial reduction of (Ni,Mg)O and (Co,Mg)O solid solutions" published in The Journal of Applied Physics. When I was getting my MFA in Creative Writing at NYU, Rick Moody had all the responses to one of his class assignments published, and one of them was my story, "The Saga of Gordon Taylor", published in The Golden Handcuffs Review in 2014.
Who published it? Are they still around? Both The Journal of Applied Physics and The Golden Handcuffs Review are still putting out new issues. Give us some context: how old were you? How long had you been writing and submitting? How many times had the piece been rejected? Anything else we're missing. I've always liked to write novels much more than short stories, so I haven't followed the typical writer trajectory of writing short stories for a while before tackling a novel. When I started to take writing seriously as an adult I tried writing some short stories, but it wasn't until I gave myself permission to write novels that I was able to finish anything or find more fulfillment than frustration in what I was doing. I was 20 in 1998 when the physics paper came out, 35 in 2014 when I finished my MFA, and was 37 when The Half-Drowned King was accepted. Did getting that acceptance feel as triumphant as you'd always hoped? Walk us through the moment when you found out. When my agent called with the first offer for The Half-Drowned King from Ullstein in Germany, I had a terrible cold and could barely get up off the couch. I was thrilled, but also crying, making gross noises, and coughing. It was not beautiful or dignified, but very joyous. I am lucky to have had the first major work I wrote accepted, but still had many setbacks along the way, from in finishing it in the first place, to finding the right agent, and getting it ready for publication. For the other two pieces, the process was so much out of my hands, involving professors who led the editing and submission process, that it was only mildly pleasing to learn that they had been published. Are you still proud of that piece? Have you re-read it recently? The assignment that led to "The Saga of Gordon Taylor" was to write a story in the style of an Icelandic Saga, but about modern New Yorkers. I wrote mine about a contest of strength in a gym, because the protagonists of the Icelandic Sagas sometimes remind me a bit of my modern-day meathead friends. I re-read it just now, and found it very silly, which is pretty much what I thought when I first wrote it. Now that you've been doing this for a while, collecting plenty of rejections and acceptances along the way, what advice do you wish you could give your younger self? I spent a long time trying to write what I thought was easy and what would sell, but it wasn't until I wrote what I wanted to write, without worrying about whether anyone would read it besides me, that I was able to finish a novel. So I would probably tell my younger self to write what she loved earlier. On the other hand, a great writing teacher, Diana Spechler, told me that no words are ever wasted because you need to write them to get to the words that come after, so perhaps that was something I needed to figure out for myself through trial and error.